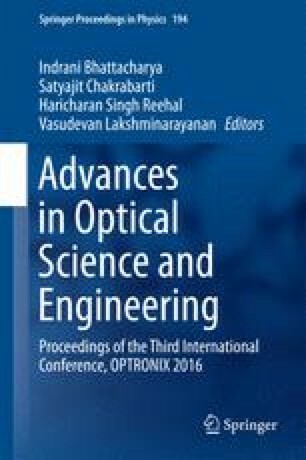 We report noble metal doped optical fiber which is suitable for laser and helps enhancing fluorescence when it is doped with active elements. Silver nano-clusters (average diameter 1.5 nm) in the core of a standard step index fiber are doped using standard fiber fabrication method. These fibers show broad visible fluorescence in the wavelength range 420–700 nm under 405 nm excitation. This appears to occur due to long interaction length of pump light with the metal nano-clusters and quantum confinement effect. We observe enhanced fluorescence from rare earth ions (i.e. Tm3+ and Yb3+) in presence of silver nano-clusters when the optimized length of the fiber is pumped by using 980 nm fiber-pig-tailed laser diode. The experimental results are explained with the help of analytical and quantum mechanical models. These fibers would be helpful to make efficient optical fiber based light sources mostly in the visible range. Part of the work of RC & SKB is supported by CSIR Emeritus Scientist Scheme-21(1017)/15/EMR-II. Authors are indebted to Director, CSIR-CGRI, Kolkata for his support and encouragement and Director, IACS, Kolkata for his unstinted cooperation.